She's a dark and mysterious girl who becomes a Corrector on her own in the 2nd season after the Teddy Bear of the "missing little girl" (named I-chan) stole Yui's original ComCon for Ai so she could help his little mistress. 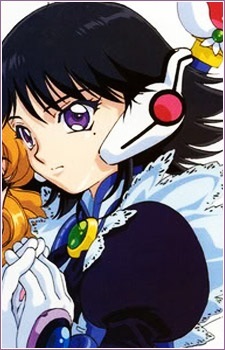 Her bitter experience in the past seems to be the reason for her cold, apathetic demeanor as a mask to protect herself; she actually wants to save her mother, Azusa,who is in a coma after an accident in the net. While at most times she performs her job with mostly cold, no-nonsense efficiency, Yui's compassionate actions sometimes make her think twice and then go out of her way to help Yui. The Correctors distrust her but Dr. Inukai actually think she's not a bad person, letting Ai keep the ComCon after she promises to give it back to him when she's done dealing with the reason that made her take up the Corrector tasks.